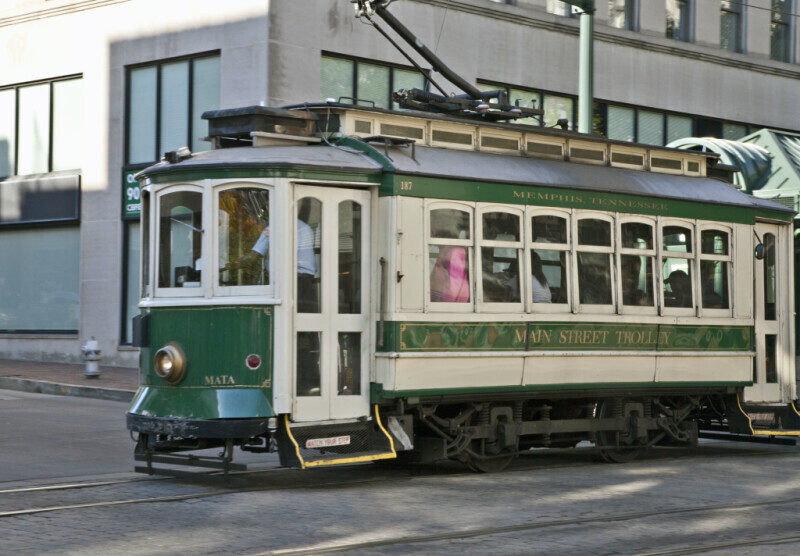 This is one of the streetcars used on the Main Street Trolley transportation system. This is car 187, built in 1927, which is one of the original three cars used by Memphis Area Transit Authority. This system has been in operation since 1993.